NT 2710 7635 Trial trenching was carried out in the open spaces around the existing bond warehouses on the site. Along the Water Street (formerly called Rottenrow) frontage, intact medieval deposits were identified in two trenches, including a fish-processing waste midden with good bone preservation. Further S a ditch running at right angles to the original street line may be interpreted as a plot boundary. Pottery from both trenches indicates a date range of the 13th to 15th centuries AD. Trenches to the rear of the warehouses showed the presence of extensive medieval garden-type soils to a depth of 1m, with intermittent deposits of windblown sand and midden, again dated between the 13th and 15th centuries. A post-medieval circular oven base of uncertain function was also recorded. NT 2710 7635 An archaeological evaluation was undertaken on deposits beneath the floor of basements at 42-50 Water Street, Leith. Five test pits were excavated, demonstrating the survival of archaeology on the northern side of the proposed development area. 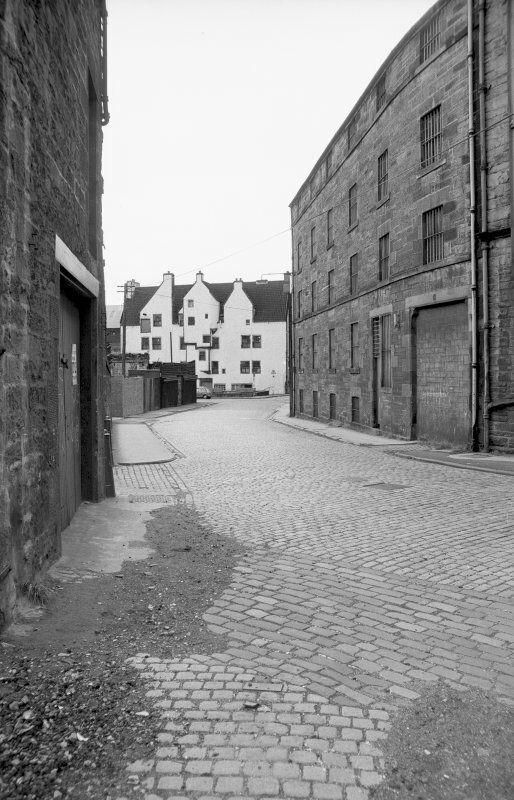 The site would appear to have been peripheral to the main focus of the settlement of South Leith during the early medieval period but became more intensively used in the late medieval and post-medieval periods. A possible early property boundary in the form of a turf bank was the earliest feature identified. A large pit was also identified which contained a large quantity of fish bone and oyster shell together with high-status pottery imported from Holland during the late medieval period. The structural remains of a 17th/18th-century tenement were also identified incorporated into the build of a 19th-century warehouse. NT 2710 7635 Two phases of excavation established that medieval development on this site first occurred during the 13th to 14th centuries. The land was divided into individual properties using turf banks and the area was used for light industry, including fish processing. This activity ended and the site became wasteland for a time, probably due to external factors - most likely to be either a severe outbreak of the plague or the Wars of Independence with England, or possibly a combination of both. 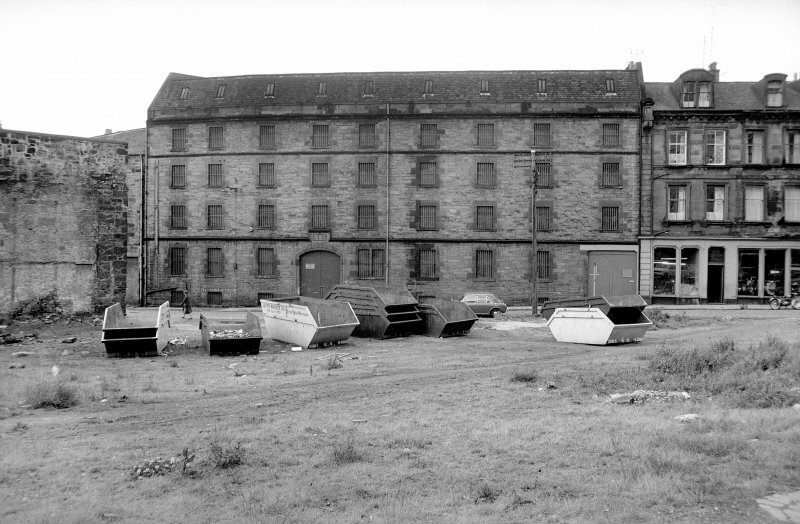 Towards the end of the 14th century the burgh of South Leith recovered and the site was redeveloped. This included the construction of a substantial timber building associated with burning, possibly related to metalworking. Remains dating to the 15th to 16th century only survived as negative features, such as the bases of waste pits and post-holes. These suggest the site continued to be used for industrial, rather than domestic, purposes and that the dominant practices continued to be fish processing and metalworking. 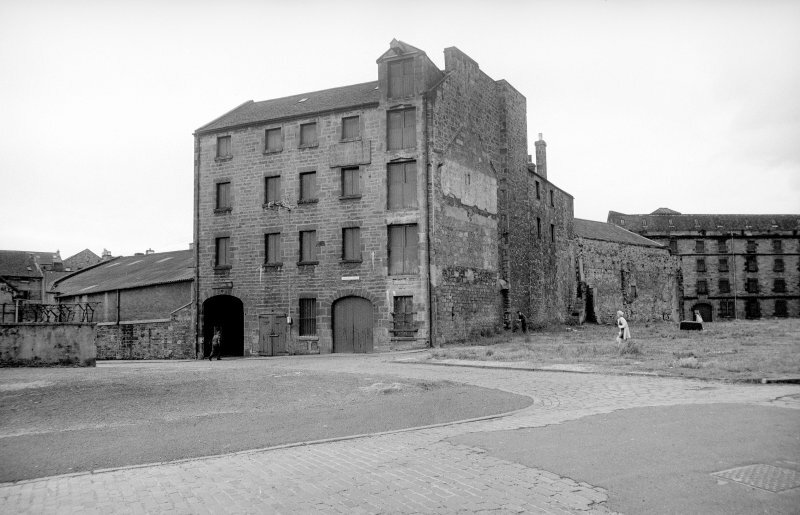 During the 17th century substantial stone buildings were constructed - a warehouse and a smaller dwelling - which saw later use as a smithy. A full report has been lodged with the NMRS. Sponsors: Kier Scotland Ltd, Castle Rock Housing Association. NT 271 763 An evaluation was undertaken in March 2002 in advance of the conversion of a warehouse into offices and flats. This involved the re-excavation of four geotechnical trial pits and the recording of the sections. A probable 17th-century wall and cobbled surface were identified in one test pit, with extensive medieval midden deposits being recorded in the remaining pits. A programme of further work was recommended. NT 2710 7635 A standing building survey was conducted during the course of an archaeological evaluation. Three walls of potentially early date were encountered, built into the 19th century warehouse.